Do you need to get full-range audio dispersed across a medium-to-large-sized venue? 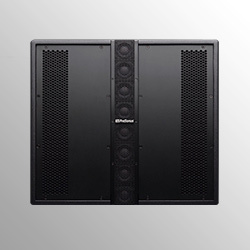 A line array speaker system may be the perfect solution. 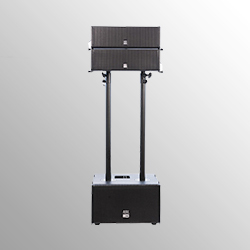 Line array speakers are designed to spread sound evenly through the room, instead of blasting the front row while leaving the back of the room straining to hear. As a growing category, line array speakers represent some of the most cutting-edge designs available from modern speaker manufacturers. How does a stadium PA system send loud, clear sound all the way to the cheap seats? It's all about long-throw speakers. Each speaker box in a line array system is designed and precisely aimed to project a focused beam of sound to just a few rows. And when sound isn't spread out as far vertically, it can travel farther. Narrow vertical dispersion, wide horizontal dispersion, and long throw -- it all adds up to consistent sound coverage, even in huge venues. With their ear-pleasing sound dispersion and modular, stackable design, line array speakers are great for clubs, venues, houses of worship, and other rooms requiring professional-quality sound and diverse, flexible setup options. In this Line Array Buying Guide, we'll take you on a tour through our most popular line array speakers. And, as always, if you have any questions, feel free to call us at 800-460-8089. We have Gear Experts standing by! Build a modular mobile PA or a robust install. 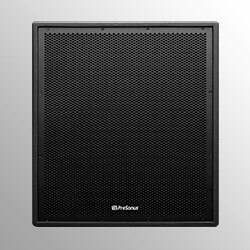 With eight 2" drivers in front of a 12" woofer, the 2000-watt PreSonus CDL12 Hybrid Line Array powered speaker radiates clear, focused sound. 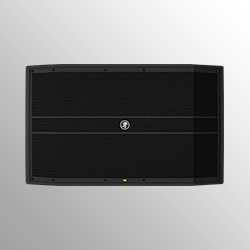 Its hybrid of point source and line array design delivers consistent coverage, whether you pole-mount one or two enclosures in a smaller room, or fly up to six enclosures to cover a large space. The CDL12 is ideal as a portable PA for musicians and DJs, or for small to midsize permanent installations. Match your PreSonus CDL12 top boxes with ground-stackable, flyable, powerful-yet-compact subs. The CDL18S makes efficient use of its 2000 peak watts with 135 dB maximum peak SPL. The CDL18S is loaded with a 18" Ferrite magnet transducer with a beefy 4" voice coil, all in a surprisingly compact box that's under 24" on all sides. Make no compromises with your venue's sound reinforcement system. QSC KLA12 powered loudspeakers make it simple to set up a sophisticated line array PA. Easy to connect and install without any special tools or expert help, the KLA12 is a powerful line array speaker that gives you sophisticated sound control options for optimizing bass response, equalization, low-pass, and more. 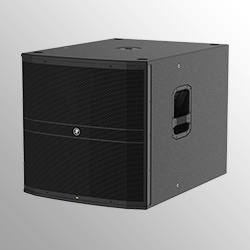 Your venue installation deserves the KLA181 powered subwoofer. With QSC's exclusive DEEP DSP technology actively manages bass transients, this line array sub delivers extended low frequency response. In addition to DEEP processing, the KLA181 includes GuardRail limiting and Auto-Standby for safe, efficient power usage. The flexible setup options of the KLA181 make it easy to mount or hang in your venue, and its impact-resistant ABS enclosure ensures years of dependable operation. Part of Mackie's DRM powered family of speakers, the stackable, arrayable DRM-12A speaker focuses sound where you want it. Its ultra-efficient, built-in amplification, with Power Factor Correction and overload-prevention DSP, delivers a clear, powerful sound throughout the room with a 20x110-degree coverage angle, with minimal phase-cancellation issues. Plus, you can tune your PA via the DRM Control Dashboard panel on the back, for easy access to versatile DSP tools for EQ, voicing modes, and more. 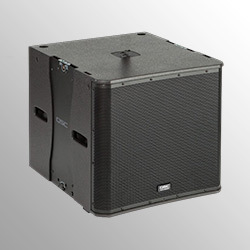 Reinforce your sound with Mackie's flagship PA sub. The stackable, flyable DRM-18S powered subwoofer supports your low end with 2000 watts of Class D power. Its built-in Power Factor Correction and overload-protection DSP ensures that you can squeeze out every available watt of performance without risking damage to the speaker or other components. Plus, the DRM18S includes a DRM Control Dashboard panel on the back, for easy access to crossover, polarity, cardioid mode, presets, and other controls. 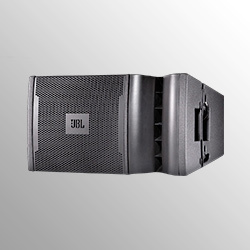 With a tight 15-degree coverage angle, JBL VRX932LAP 2-way powered line-array speakers work together to project sound exactly where you want it. Designed for use in arrays of up to 5 units, the VRX932LAP is perfect for medium-sized venues that don't require the long-throw characteristics of larger line array setups. Its manageable size and easy-to-use integral rigging hardware makes the VRX932LAP ideal for those who want a fast, easy setup and a powerfully clear line array sound. Fill the room with serious lows. 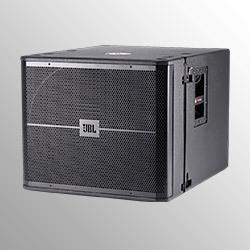 Loaded with a Differential Drive 18" woofer, the 1500-watt VRX918SP powered subwoofer is the perfect match for JBL's VRX932LAP line array speaker. Its powerful, Crown-designed JBL Drivepack DPC-2 power amp and 18" voice coil provide a powerful, deep bass sound. Plus it's easy to set up, with built-in DSP for EQ, crossover management, and system optimization. Huge, room-filling low end doesn't get easier than this! 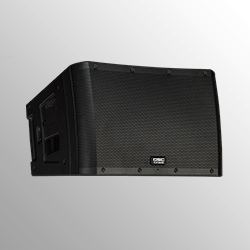 Power any performance with an Altec Lansing line array! The ALX-1525LA stacks four tops each with twin 5" drivers atop a 15" sub. This ground-stack system is excellent for medium-sized venues that are a bit too small for a full-size line array system, but which still require detailed sound coverage throughout the entire room. The ALX-1525LA's top speakers have adjustable angle and height settings, so you can optimize the system for the needs of your venue and audience. And at 3200W peak power, the ALX-1525 delivers an impressive 134 dB SPL of volume. The Altec Lansing ALX-2824LA ground stack PA system brings together a sub base packing twin 8" woofers and stacked tops that each house two 4" drivers and a compression tweeter. This compact, portable PA lets you bring the smooth, room-filling sound of a line array system into smaller venues that may not require a full-sized line array. With adjustable height and angle settings, and 2000W of peak power, the ALX-2824LA can fill any small- to medium-sized venue with detailed, full-range audio.